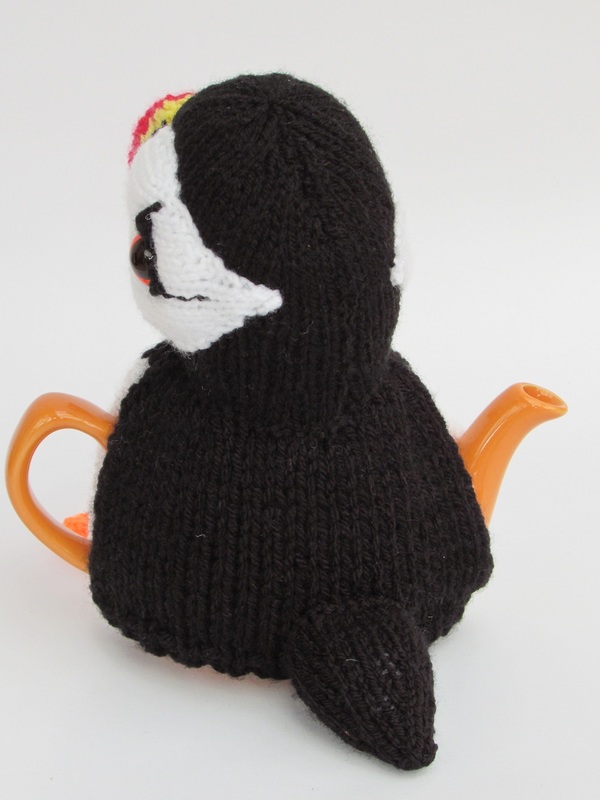 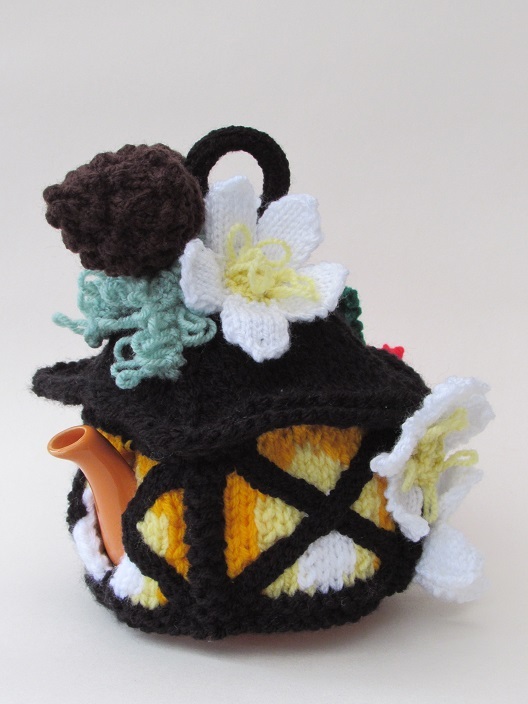 The puffin tea cosy fits a tea for one sized teapot. 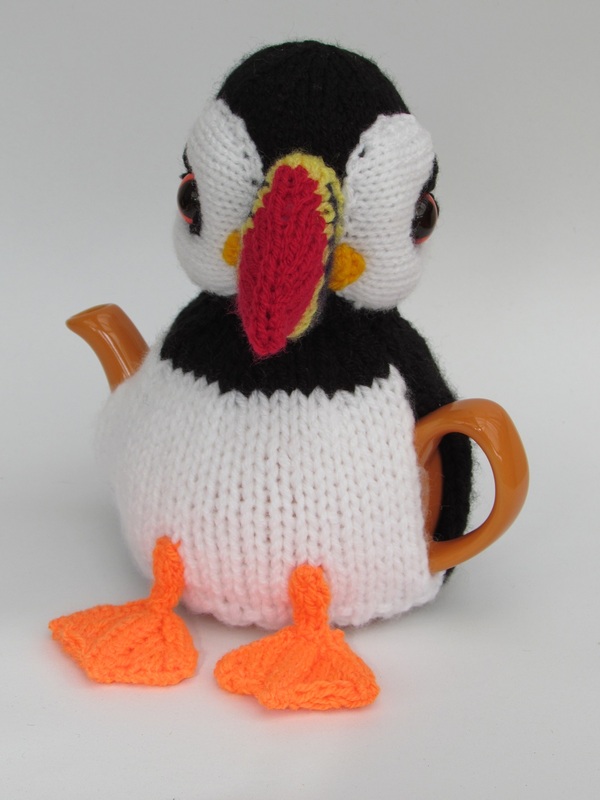 At about 19cm height this puffin tea cosy is about the actual size of a real puffin. 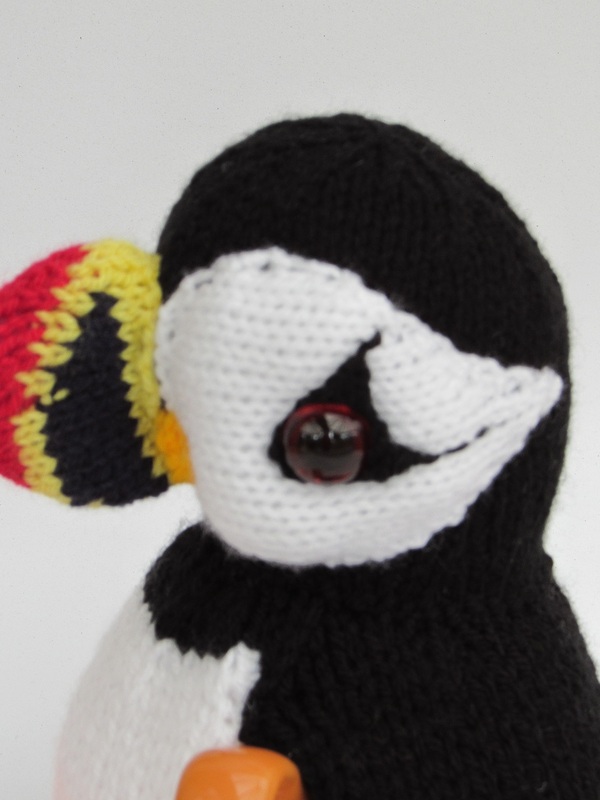 The puffin tea cosy has a brightly coloured beak and beautiful amber eyes. 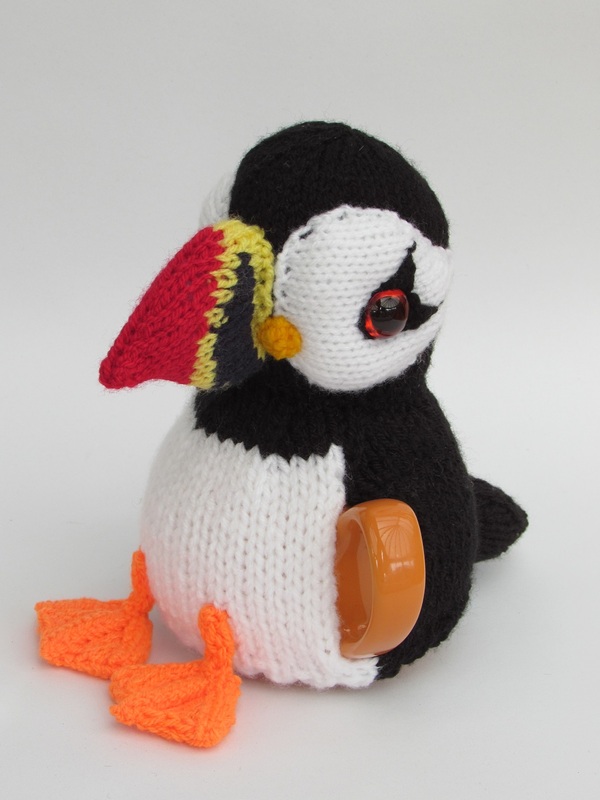 He has that sad little expression that makes puffins so endearing. 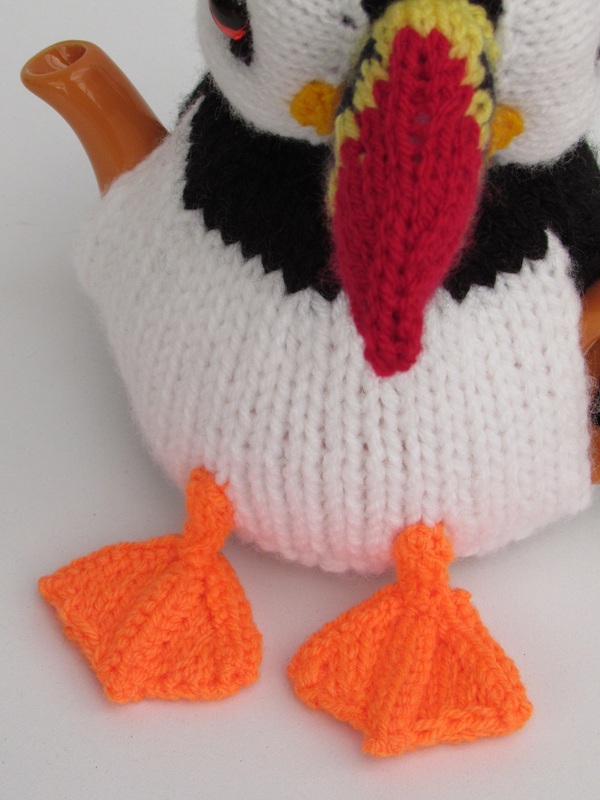 His feet are bright orange and look so cute. 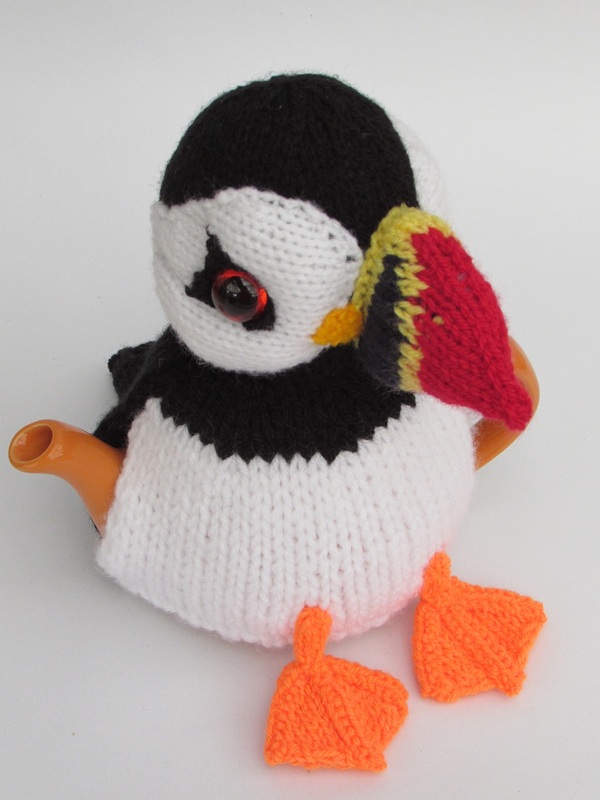 He feels like he should be in a seaside theme kitchen or even in a lighthouse or somewhere by the sea, a caravan holiday home maybe? 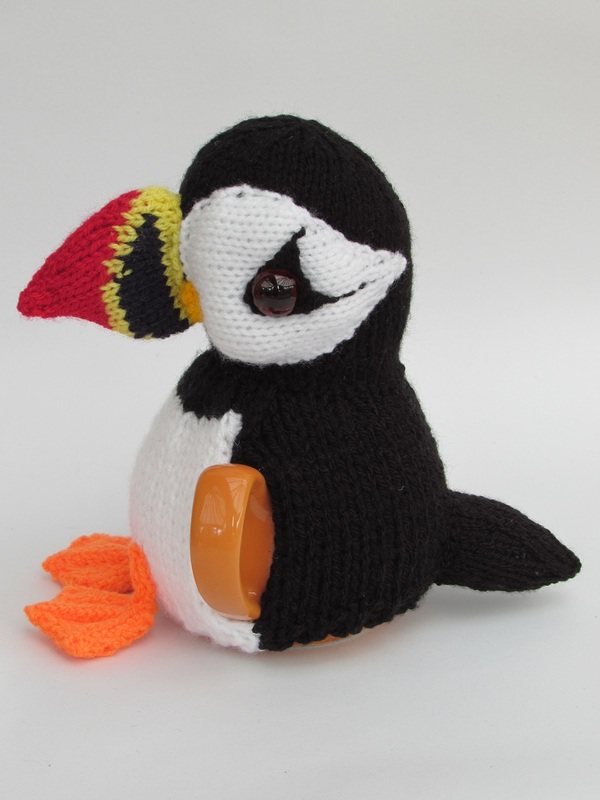 The puffin tea cosy is easy to knit, but the beak is worked from a chart to change the colours. 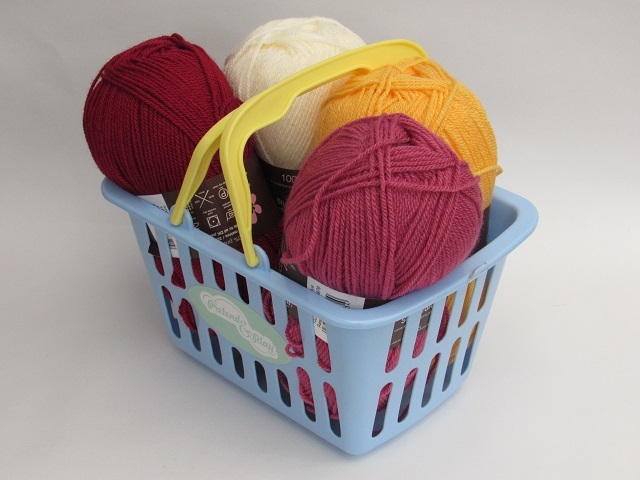 But this is only for the first few rows. 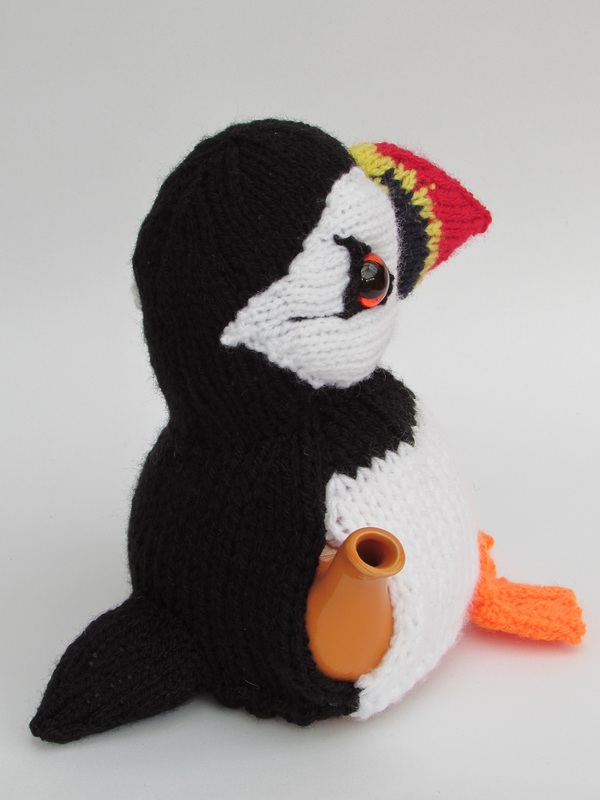 You also need to knit an icord, but full instructions are given. 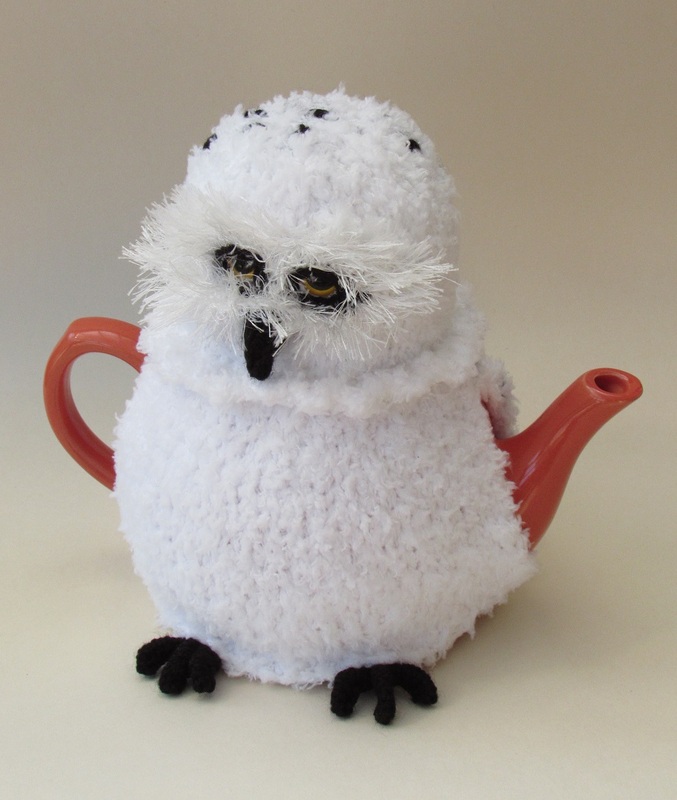 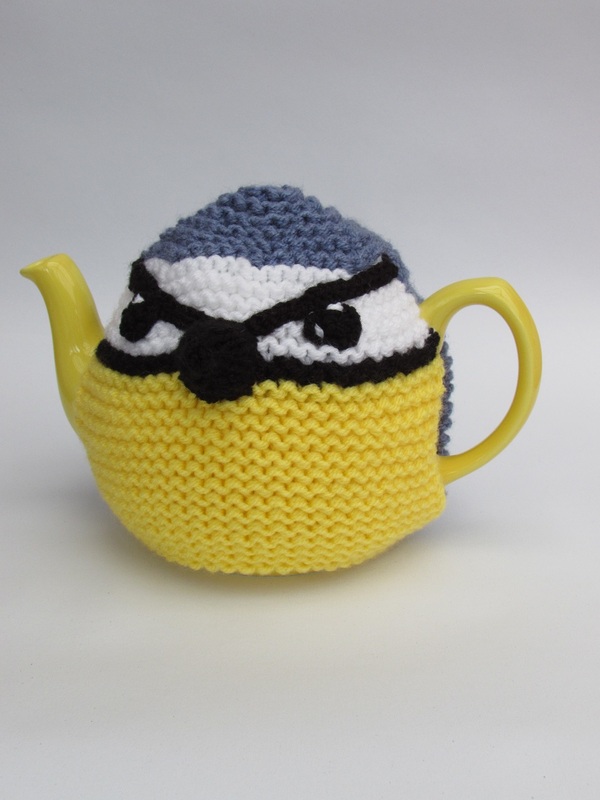 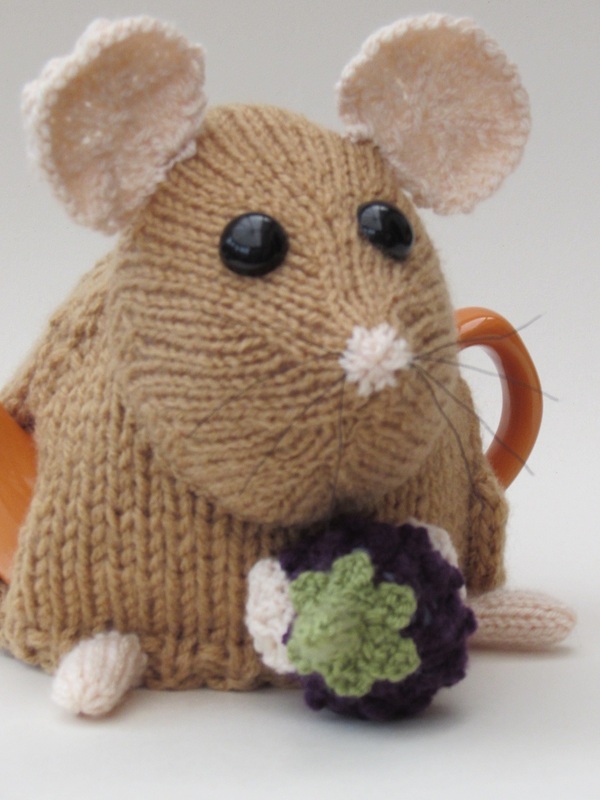 The puffin tea cosy is very charming and is brilliant for keeping that second cup of tea in a one pint teapot hot. 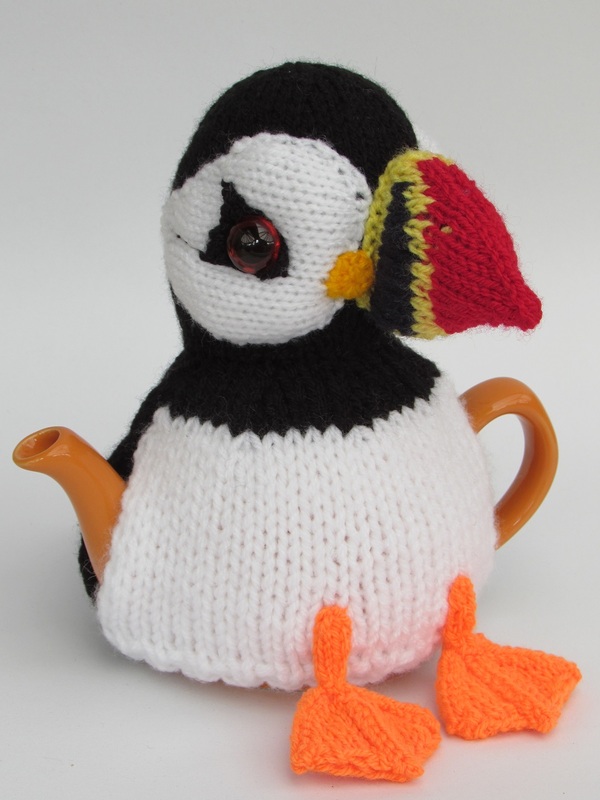 When your puffin' for a hot cup of tea the Puffin tea cosy is perfect.